Burgas Galleria Mall - the office is located on the parking lot and offers fast and reliable cargo rentals in Burgas and the region. Burgas Plaza Mall - the office of Top Rent A Car is situated on very central spot, with easy access to all main roads and offers various cargo vans for rent. If you need cargo van for your business or just need cargo van on affordable price, you can book on our website or call us at national car rental number: +359 700 89 050. You find more information about the cargo vans offered by us here. Our colleagues will be happy to assist you with detailed information or individual offer for hiring a cargo van in Burgas for your trip in Bulgaria or abroad. We offer different cargo rent options for crossing borders of Bulgaria. If you are arriving by plane the most convenient way to rent a cargo van is directly from our office at arrivals hall. If you are already in the city the closest office locations for hiring a cargo van are in the central parts of Burgas - on the parking lot of Burgas Plaza Mall and the parking lot of Burgas Galleria Mall as well. You can book your cargo van using the booking form on our website or just call us at: +359 700 89 050. Our offices in Burgas are at very convenient locations for renting a cargo vans but serve deliveries in Burgas and the whole area as well. With cargo van rentals from Top Rent A Car you will have sucess in your business with reliable partner. The advantages of our cargo vans for rent are: new vehicles, different car classes and sizes, professional service at affordable price. We offer the service cargo van hire in Burgas and the region since 2015. You could book your cargo van from our offices here and pick up or return the already rented. You could book directly on our website using the booking form or just call us at: +359 700 89 050. If you are arriving by plane on the airport or you are already in the city and need safe and reliable cargo vans for your business at affordable prices do not hesitate to contact us. The cargo vans will make your work easier and will help your business to reach new tops. You can book cargo van rental from our booking form or from our office on the airport or some of our other offices situated in the central part which are offering renting a cargo vans at best prices. Our offices deliver to all parts of the city and the region. You could visit our offices or contact us at: +359 700 89 050! 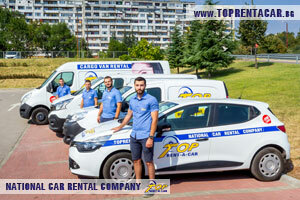 Top Rent A Car offers divrsity of cargo van classes for rent in Burgas. You can choose your rental cargo van from our website. You can easily transport everything with rental cargo van in Burgas especially when you have more luggage. You could use Burgas as your starting point for renting cargo van at best prices. Pick up process will take you about 15 minutes but we suggest to make your booking in advance on our website or at national cargo van rental number: +359 700 89 050 as this will guarantee you available cargo van for your rental period. Our colleagues will be happy to assist you in case you need information or individual offer for renting a cargo van from our offices in Burgas or by the phone. 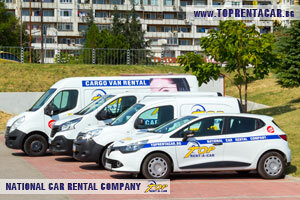 Top Rent A Cars offers promotional deals for cargo van rentals during the whole year available on our website. If you travel from Burgas Top Rent A Car has offices at Burgas airport and the central parts of Burgas where you can pick up your hired cargo on spot or you could order delivery to your address. As well as cargo van you can book and additional extras as GPS navigation system and 3G Wi-Fi internet, which will keep you connected. 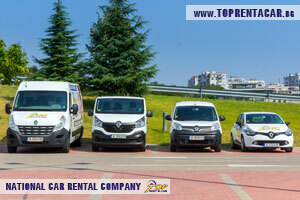 Why choosing cargo van rental in Burgas from Top Rent A Car?